Practice makes perfect, for that reason we created the Spanish Summer Camp to Improve Your Child’s Spanish Language Skills! Once children learn Spanish, they necessarily need to practice their language skills to perfect them, and the summer time constitutes that period when little ones are more likely to forget what they have learned. Choosing to use the Spanish summer camp can have many great advantages for his language skills, particularly if you want him (or her) to excel and have many wonderful career opportunities later. Having been specifically designed for summer time, the camp is a complex program that will allow your kid to practice what he knows already to never forget it. Learning Spanish is, for both you and your child, a substantial time investment. Therefore, once your child acquires new language skills, it is essential to cultivate them by practicing on a regular basis. 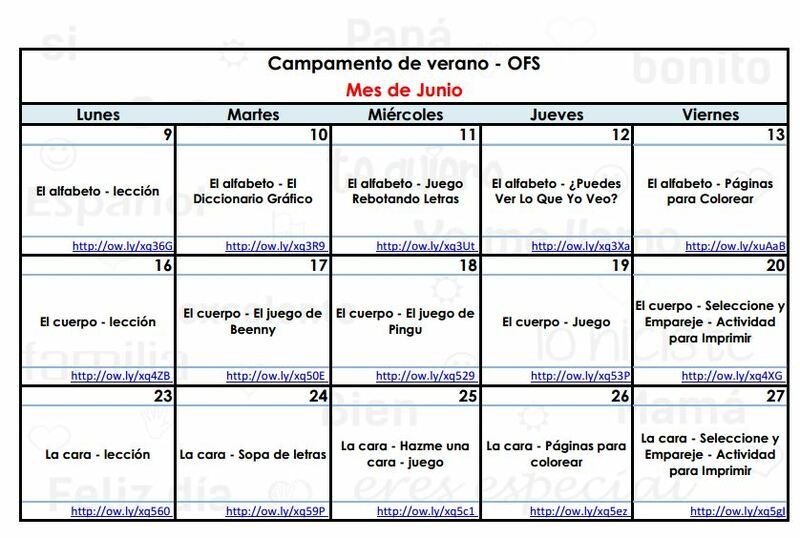 During the summer time, your child is very predisposed to forgetting everything he learned throughout the year, and this would really be a shame since he did his best to improve his Spanish language abilities. By using the activities provided in the Spanish summer camp, your child will never forget what he learned, and he will actually be capable of exercising constantly to improve his current knowledge. In this way, he will never have to go through the same lessons over and over again, and he will also become more open-minded. Always remember that practice makes perfect, and your child will never perfect his Spanish language skills unless he exercises what he knows already. The activities consisted in the Spanish summer camp are extremely entertaining and educative, allowing your kid to practice the alphabet, the numbers, the animals and other similar lessons by playing games and coloring pages. All activities are structured on three months (June, July and August), so he or she will constantly exercise during the entire summer time. 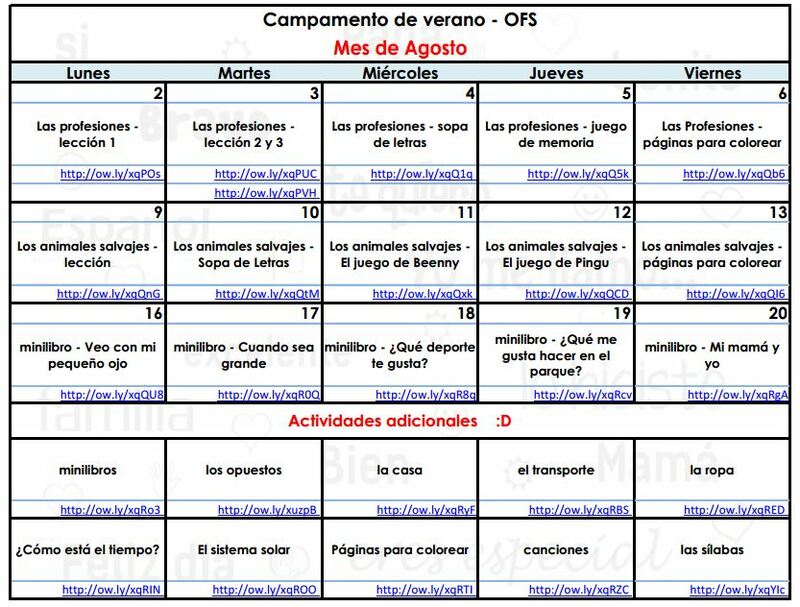 One of the most important advantages of using this Spanish summer camp is the simple and efficient teaching manner it approaches. You will certainly be unable to inspire him with the pleasure of learning Spanish as long as you do not make this a fun thing to do. With all games and entertaining activities from the calendar, he will enjoy learning the alphabet and all lessons, with his interest rising substantially. Moreover, the camp is specifically structured to alternate games and more educational activities, so your child will always be thrilled and excited to see what the summer has prepared for him. The Spanish summer camp will surely be the answer to all your problems regarding your child’s future career. As long as you make sure that your kid will follow the calendar activities properly, you can be at peace knowing that his Spanish language skills will improve over time, getting him ready to progress to the next level. Furthermore, the camp will also enable him or her to enjoy educational activities that will keep him entertained whilst allowing him to become more knowledgeable and mature from early times. With such a rich source of information, your child will have more doors to open in the future, and he will be able to understand life better at the same time. 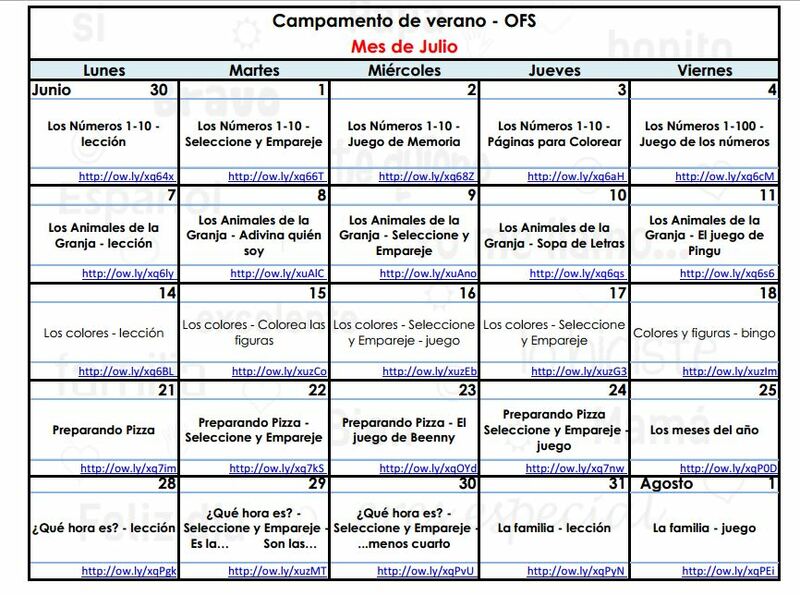 We like to invite you to use our summer camp calendar, and let us know if you have any question or concert, is free and each calendar has direct link to each activity, more easy for kids! Enjoy!